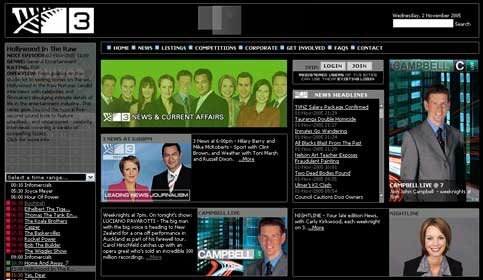 Just when I thought the web was actually going through a revival with usability, web standards, AJAX taking hold – and New Zealanders actually starting to churn out some pretty decent websites – TV3 had to come along and trash the party. Anyone know who designed the site? Might have been mothership CanWest calling the shots from Canada?